Alan and Denis Pickles sent these photos, their notes are shown below each image. 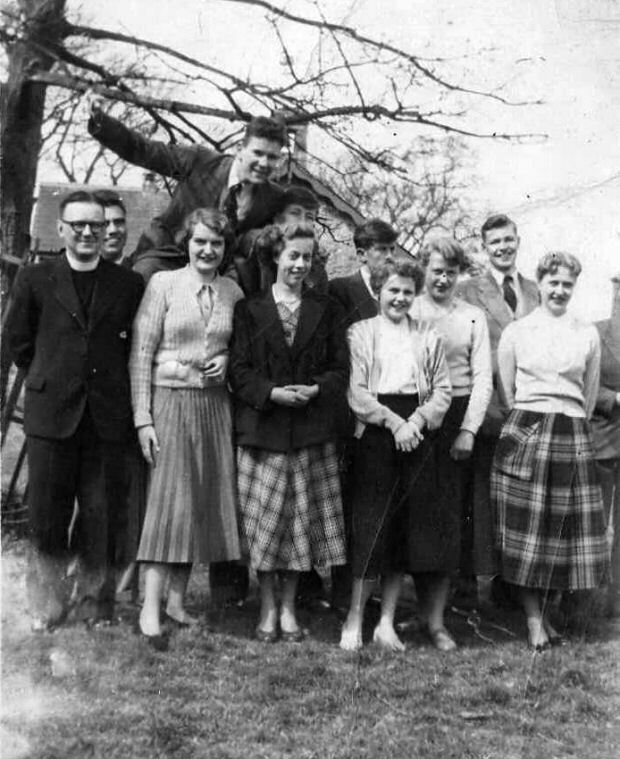 Back in the 1950s and 60s an organisation called The Young People's Fellowship existed in South Craven. It was better known as the Y.P.F. and was made up of the younger members of the Baptist and Methodist chapels in Sutton, Glusburn and Cross Hills, although any one was welcome. We met after Chapel on a Sunday evening at one of the Churches and either listened to a speaker or, in the Summer, went for a walk around the district then finished up at a room in Glusburn Institute for a cup of tea and a natter. Each Easter we went by coach to Winton, a small village situated near to Kirby Stephen for a retreat. The boys slept in the small chapel there and the girls in the School. We were a self contained unit with duties allocated. We had our own cooks and dined in the Sunday School. 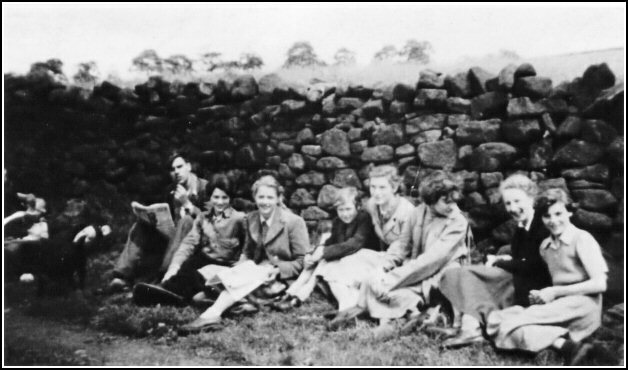 The first photograph shows some of the members on one such trip. The children along the wall are all locals but the others are YPF members. Front, seated:- David Bradley, Ann Longen, Alan Catterall, ? Rae, Joan Riddiough. Second row:- Kenneth Bradley, ? Smith, Terry Greenwood, ? ?, Margaret Naylor, Brian Shearer, ??. Next row:- ? ?, Rita Lund (both crouching), ?? (standing in front of S Wilson). Next row:- Dennis Clough, Betty Monkhouse, Barrie McWhinney, Joyce Rediiough, Nancy Williams (turning round), Stuart Wilson. Remaining:- Sam Richards, ? ?, Peter Barsby, Ruth Patrick, Kathleen Binns, Margaret Waring, Jeffrey Cowling, Elanor Buck, Tim Dunne, Audrey and Maureen McWhinney. The person turning round next to Joyce Riddiough is Connie Bradley [nee Emmerson] - she is partly obscuring Nancy Williams. The second picture was taken on a hike which was the regular occurrence on Whit Monday. Left to right:- Alan Catterall, Nancy Williams, Maureen McWhinney, Jackie Morrison, Gwen Williams, Joyce Morrison, Anne Dickinson and Brenda Grime. The third photo is from Denis Pickles. 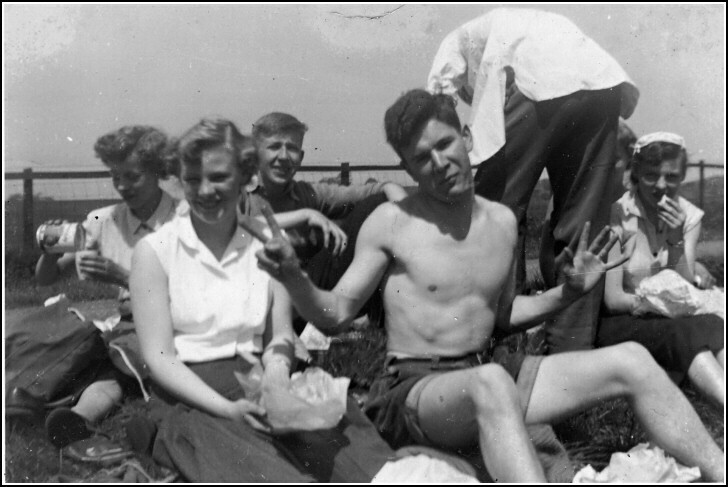 This one would have been taken in 1950 at the Easter Camp at Winton, in what was then Westmorland. Another YPF photograph taken on the village green in Winton in 1955. I was prompted to send this along after reading Michael Pilling's contribution to the Forum because it shows a Minister whose name I cannot recall. Don't think that it is his dad - more likely to be a minister from Glusburn Baptist Church, Rev. Brewer? Rev ?, Alan Catterall, Maureen Naylor, Robert Barrett, Kathleen Binns, Alan Pickles [half obscured! ], Patrick Hill, Pat Longden, Audrey McWhinney, Denis Pickles, Maureen McWhinney. 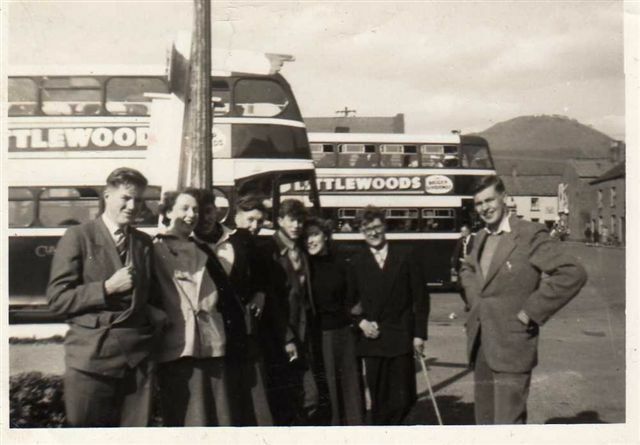 "This photo was taken at Windermere [or possibly Ambleside or Keswick?] 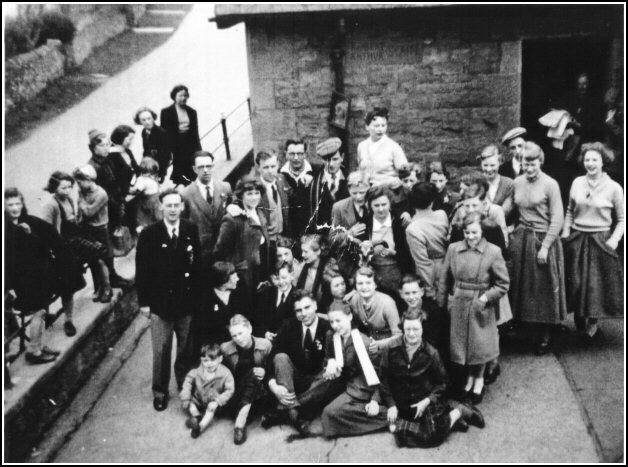 the occasion being the Easter Monday trip from the Camp at Winton in 1949. Probably half lived in Sutton, the remainder in Crosshills or Glusburn. At the back are two little lads, Peter Boothman and Rex Whiteoak. 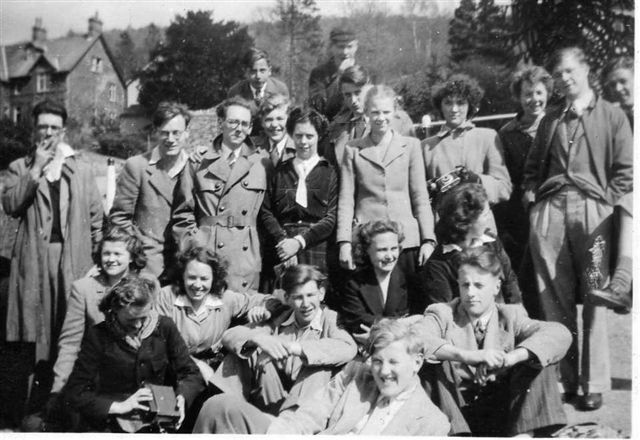 Standing L to R are: Dennis Clough, Peter Greenwood, Kenneth Bradley, Denis Pickles, Connie Emmerson, David Hill, Eleanor Buck, Beryl Hargreaves, Edith Mosely, Sam Richards, Roy Smith. Seated: Bessie Smith?, ?, Christine Hoyle, Brian Lambert, ? Joyce Riddiough, Roy Hudson, and at the front reclining is Tom Chatterton." 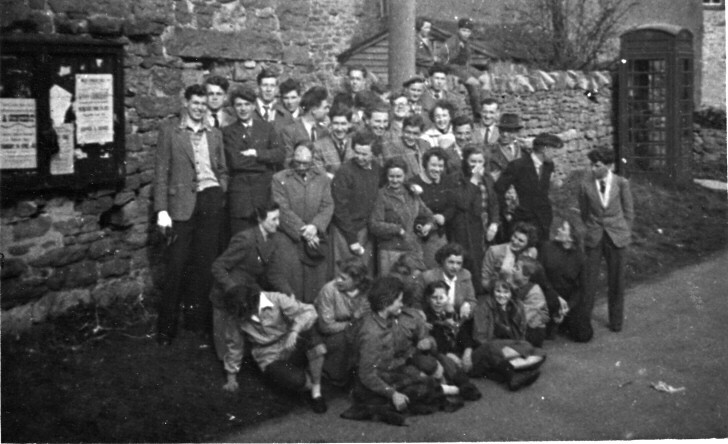 "This is another Young Peoples' Fellowship photograph  taken on an outing whilst we were on the Annual Easter Retreat [Camp] which was always held in the village of Winton near Kirkby Stephen. Colin Pickles [my cousin], Elma Dickinson from Crosshills, Kevin Westman from Skipton, Michael Lynch, Patrick Hill from Crosshills, Doreen Feekins [a friend of Elma's from London], Barrie Pierce and the stand alone chap on the right is me, Denis Pickles." 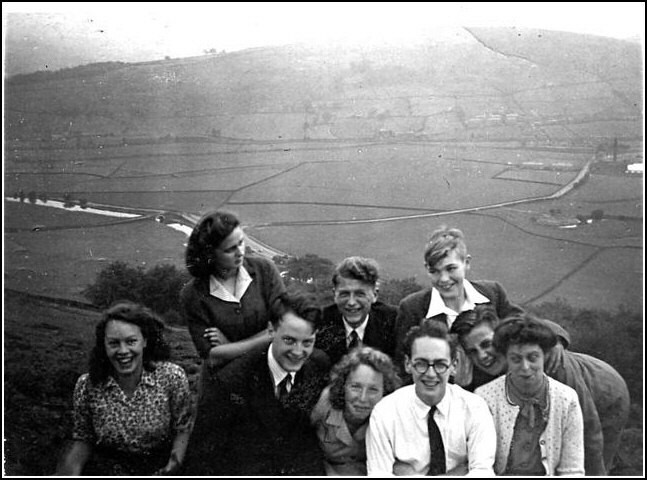 "Another YPF photo taken one summer Sunday evening in 1949 on a walk to Farnhill Moor. Front : Christine Hoyle, Paul Greenwood, Edith Mosley, Kenneth Bradley, Michael Garnett, Constance Emerson." The above photo from Denis Pickles, taken around 1953, was added January 2010. Alan Caterall, Gerald Shuttleworth, Betty Monkhouse, Audrey McQuinney, Michael Atkinson, Barrie Pierce, Alec Shuttleworth, Gwen Williams. The above photo from Brenda Whitaker, taken on the annual Whit Monday Hike by the YPF group in 1955, was added March 2010. 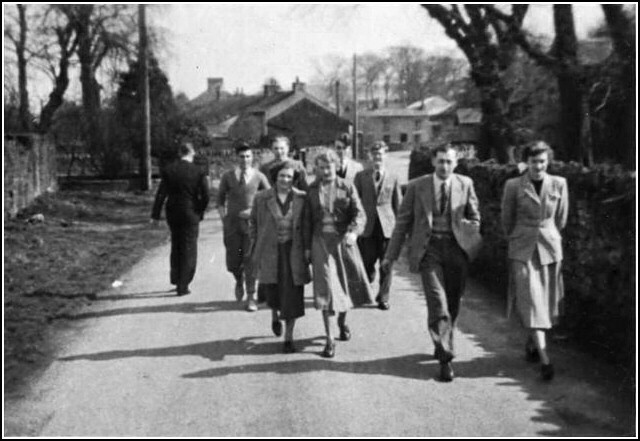 The people are, from the left: Kathleen Binns Eleanor Buck, Alan Pickles, Robert Barrett, an unidentified backside and Brenda Whitaker � the person partially obscured could be Maureen McWhinney, but not sure. The above photo from Denis Pickles was added April 2010. It was most probably taken in 1955 on the same Whit Monday Walk as the photo above posted by Brenda Whitaker. I think she was modeling the head dress which she was shortly to wear on her wedding day. By the way, Brenda, what was the date of your wedding? I think we might have been married on the same day. I, Denis Pickles, am at the back with my future wife, Audrey Jones. Front: Joan Barrett, Brenda Grime. The following two photos c1953 and comments from Denis Pickles were added December 2012. 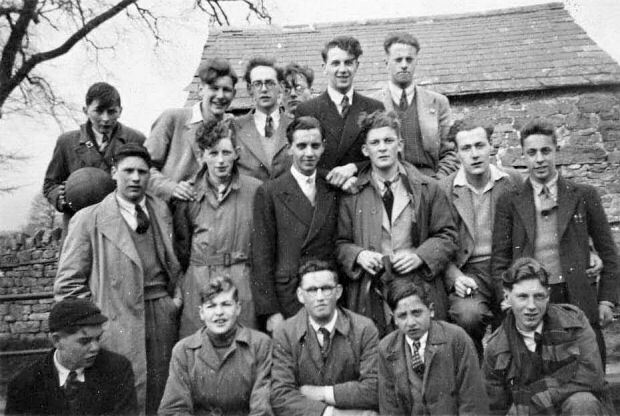 At the back [L to R]: Denis Pickles, Michael Atkinson, Jack Mosley, Alan Pickles, Robert Barrett, Alan Catterall, John Barrett, John Binns, Gerald Shuttleworth, Barrie Pearce, Keith Riddiough, ?, Elma Dickinson in the white coat, Peter Barsby, Alec Shuttleworth, Dennis Clough in the hat. Lower down are: Joyce Morrison, Rev 'Joe' Brewer, Ruth Patrick, George Morrison, Joyce Riddiough, Christine Hoyle, Rita Lund Neal Palfreman and at the extreme right a young Barrett from Boundary Ave. David? 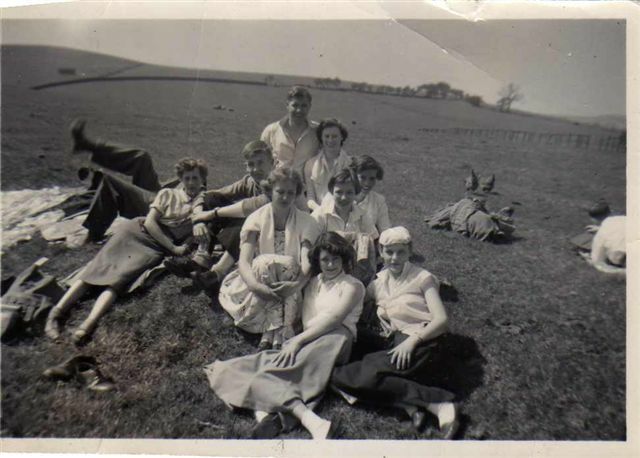 At the front: Enid Foster, Maureen McWhinney, Nancy Williams, Audrey McWhinney [hidden], Edward Emmerson, Betty Monkhouse, Pat Longden, Kathleen Binns, Gwen Williams and Doreen Feekins. 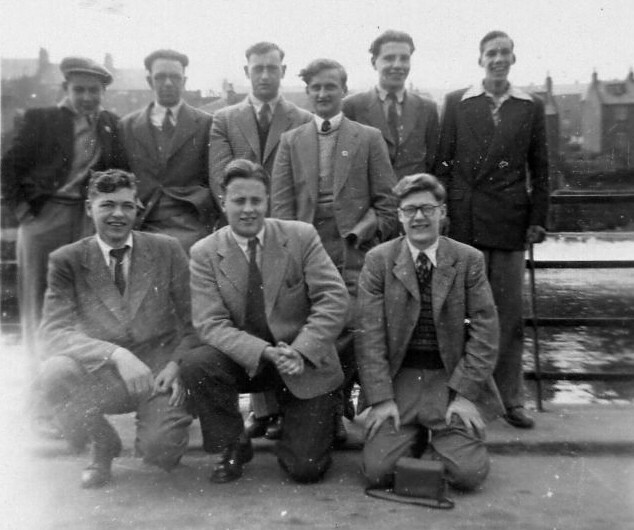 Back Row [L to R] David Binns, Dennis Clough, Alec Shuttleworth, Keith Riddiough, Gerald Shuttleworth, Peter Garnett. Front Row [L to R] Denis Pickles, Roy Hudson, Barrie Pearce. See also YPF 1945 - 1957 for more YPF photographs.